Confused? 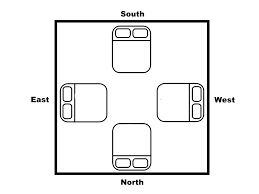 Which is the Best Sleeping Direction as per vastu shastra? 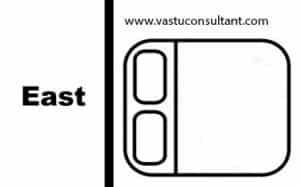 Vastu for Which Side You Should keep your head while sleeping? Sleep means the resting state where our body is not active and mind is in the unconscious state. During this time we are unaware of our private surrounding as well as sleeping direction. A sound sleep rejuvenates mind & body for the next day. We all spend one-third of our lives in the bed. A person who is 30 years old has already spent 10 years in the bed. When you are not sleeping in the right direction, it disrupts a rhythm of your sleep. A true vastu guideline helps you to experience better sleep in your private place. A bed is an important component in the bedroom. 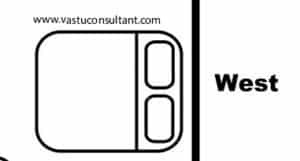 A correct positioning of the bed according to the direction is very important to help you keep healthy & energetic. Everyone should ideally follow a right direction to sleep, as choosing the wrong direction for a sleep may give a rise to the sickness & misfortune. According to Vastu rules, the human body acts as a magnet with the head as its the North Pole. 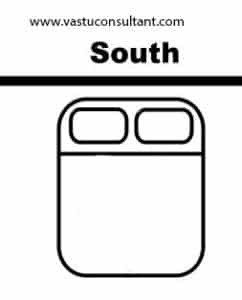 If a head of the person points towards the north while sleeping, North Poles of the body and Earth will repel each other, affecting the blood circulation. It causes stress, illness & also disturbs the mind. It will also make you stressed and exhausted. In many traditions, a body of the dead person is always kept with the head pointing towards the north before cremating. It is strongly advised to avoid sleeping with the head towards the north. Sleeping with head towards the east increases the memory power, concentration & also a good health. Students, scholars, teachers & even people in the job should sleep with the head towards the east. It showers the person with new career opportunities, promotions & higher grades. According to Vastu, guest should be given a room which has a bed rest towards the west. It is called a neutral sleeping direction according to the practitioners of Vastu. As a result, neutral direction does not give a quality sleep required for freshness for the next day. According to the study, when it comes to sleep, it’s quality – not quantity – that matters most. You will have trouble in getting enough sleep. According to the vastu principles, sleeping with the head towards the south is one of the highly recommended direction. It brings prosperity, good health, good fortune & a quality sleep. People in the business or professional field should ideally sleep with their head towards the south since they are more stressed and busy throughout the day. This results into improvement in their efficiency and decision-making ability. 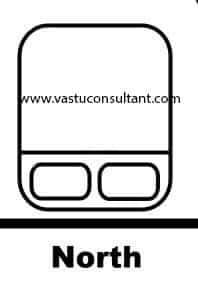 Sleeping in the corner of any room is a poor vastu arrangement. It does not allow energy circulation in the room. Always place the bed with a space on both sides of the bed. The husband should sleep on the right side of the bed and wife should be on the left side of the bed. Avoid sleeping with legs directly towards the bedroom entrance. It may cause bad dreams. Avoid sleeping under the beam. A beam carries the burden of the whole building structure, which causes pressing down the luck. As a result, it seriously causes insomnia, lack of sleep and migraine. Do not store junk under the bed. This creates negative energy and you will not be getting a good night sleep. Finally, avoid bedroom which has a kitchen exactly on the lower floor. Due to this, it may bring a sleeplessness night for the person. Do check your sleeping position according to the Vastu before finalizing a home interior plan.